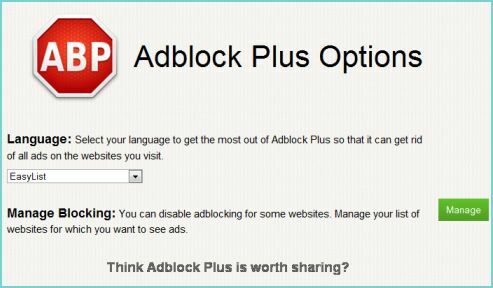 Adblock Plus is an extension or addon for web browsers to block advertisements completely while surfing internet.Adblock Plus helps to read the web easily without any advertisements. It can blocks banners, pop-up ads, text link ads, video ads and other any type of ads. It is one of the popular extension and available for Firefox, Chrome and Android. 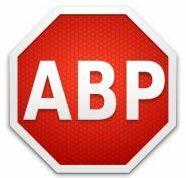 It is first available only for firefox browser on desktop, recently they released the app for Android mobiles.Now they released the beta version of the Adblock Plus for Internet Explorer browser. It is available on all versions of Internet Explorer such as IE 7, IE 8, IE 9 and IE 10 and works on all versions of Windows. You can install the addon by simply clicking the file. Then you can enable/disable the addon from the menu Settings->Manage Add-ons. Also you can customize the options by clicking the Adblock Plus icon on the status bar of the IE or you can bring that from View Toolbars-> View Status bar.